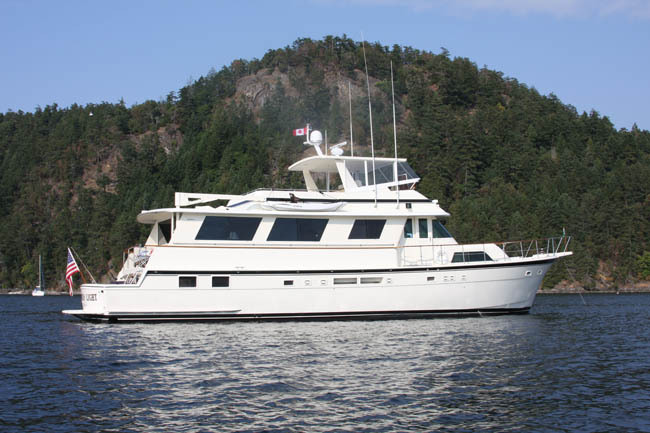 Motor Yacht NORTHERN LIGHT was built by well renowned Hatteras in 1987 and underwent a complete refit in 2007/2008. 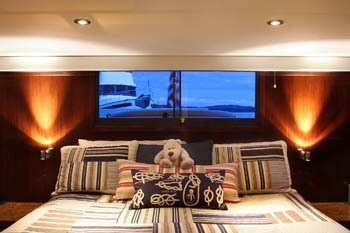 M/Y NORTHERN LIGHT is ideal for families or small groups with 3 spacious cabins for up to 6 guests, the yacht has a lot to offer for her 22.5 meters (74ft); the interior has a stylish and welcoming décor with ample areas to relax and plenty of natural light throughout, step out on the generous decks to enjoy the great outdoors or take a dip in the hot tub. 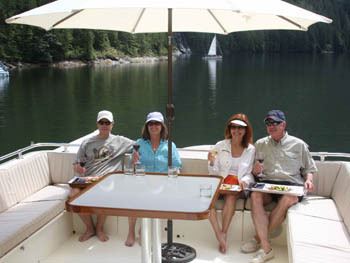 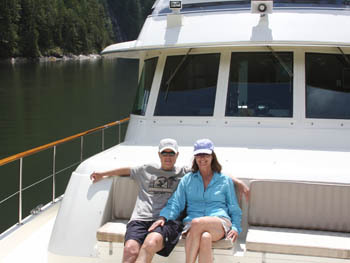 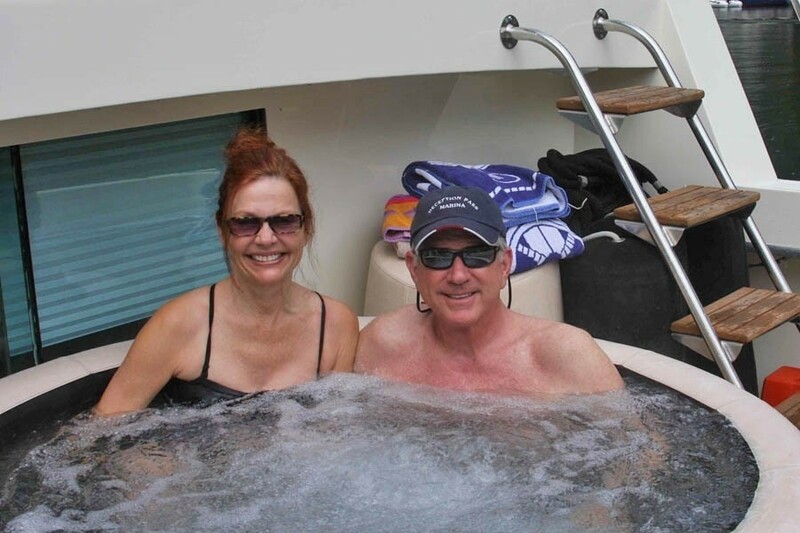 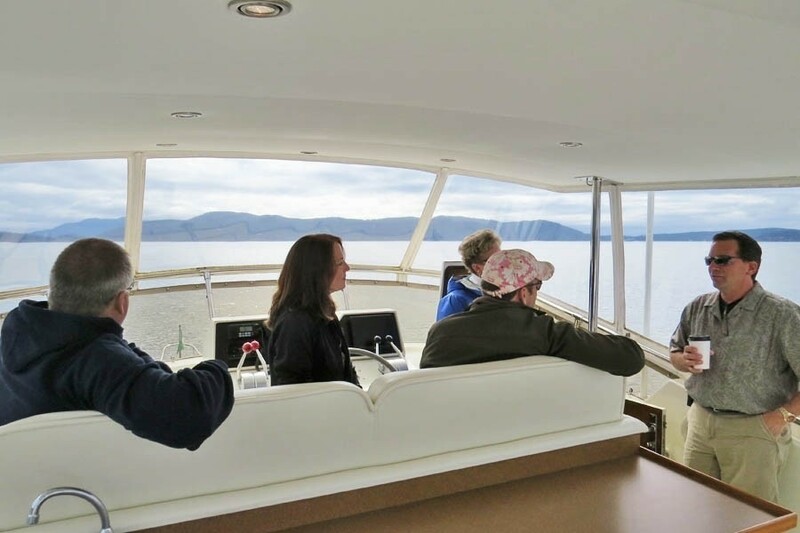 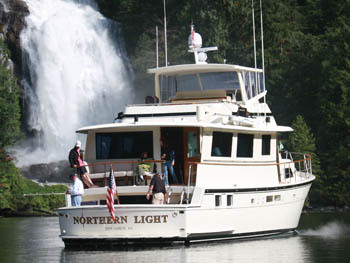 Charter yacht NORTHERN LIGHT is based in Seattle and is available for charter in the San Juan Islands of WA State. 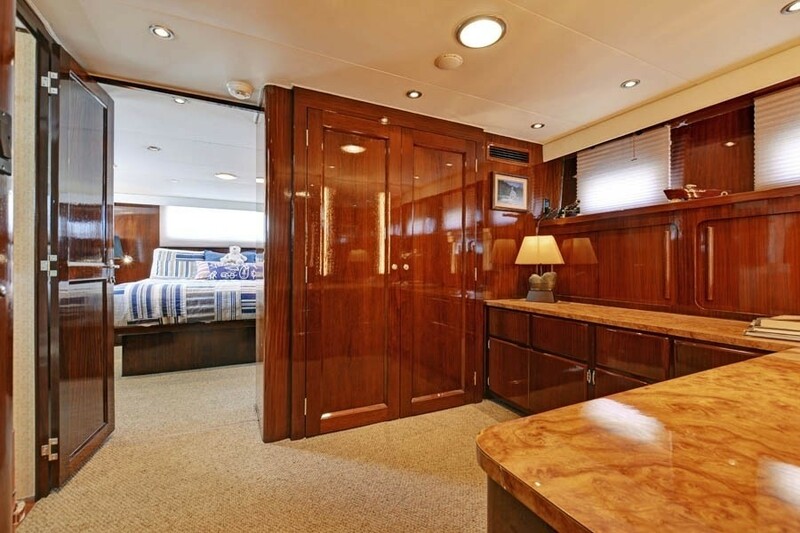 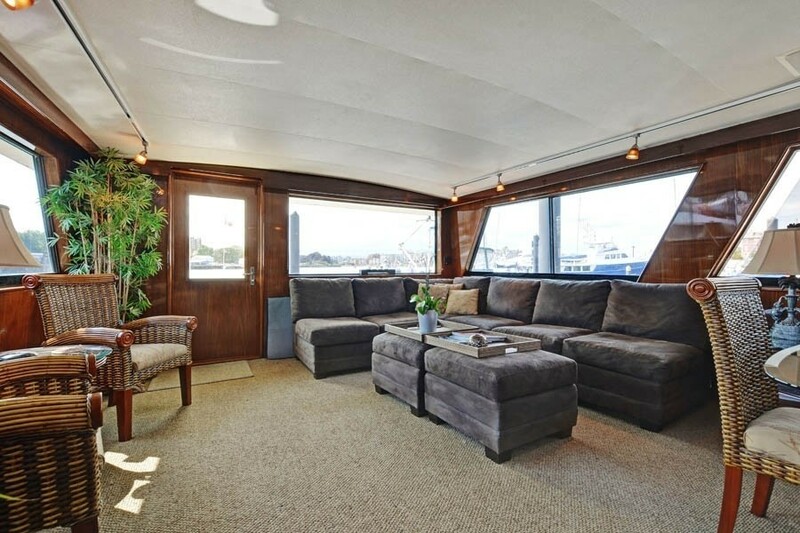 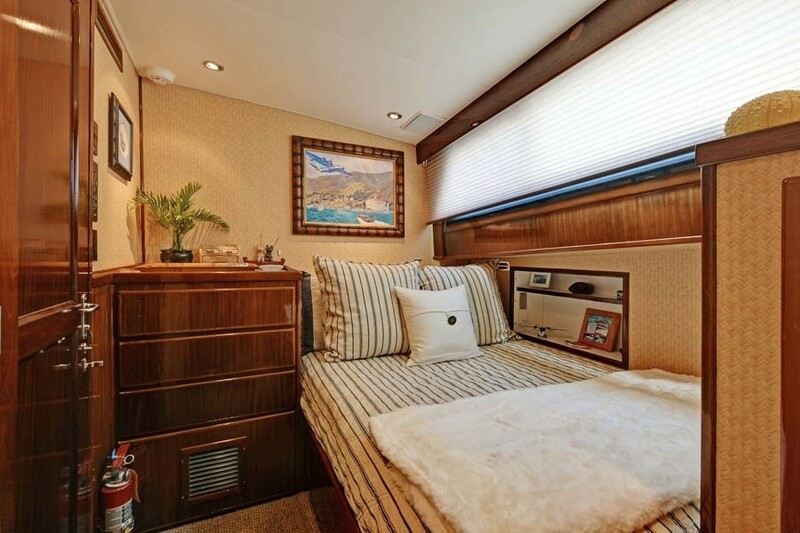 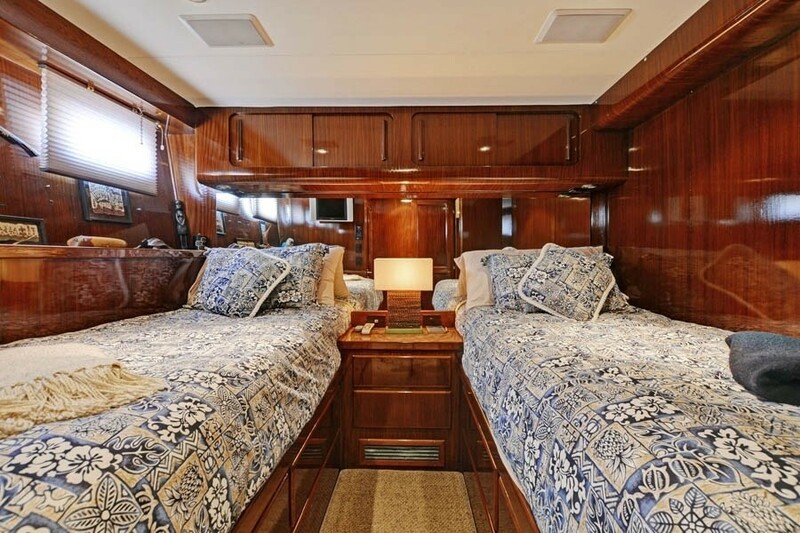 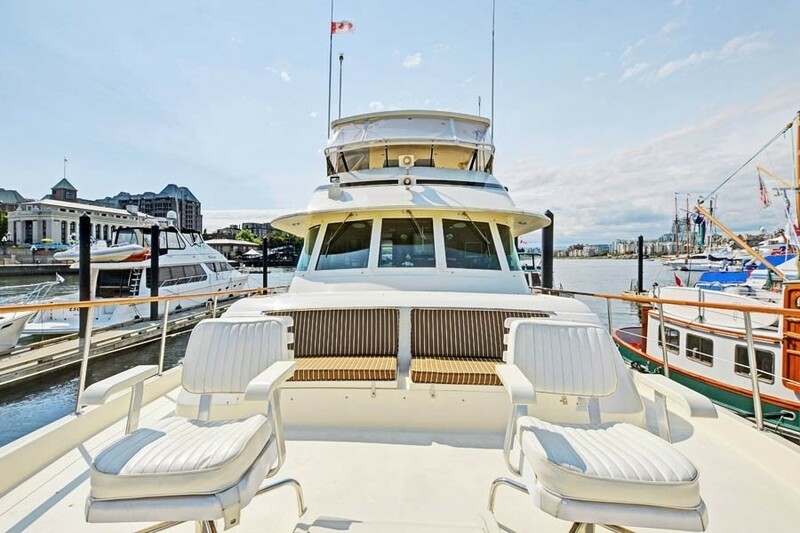 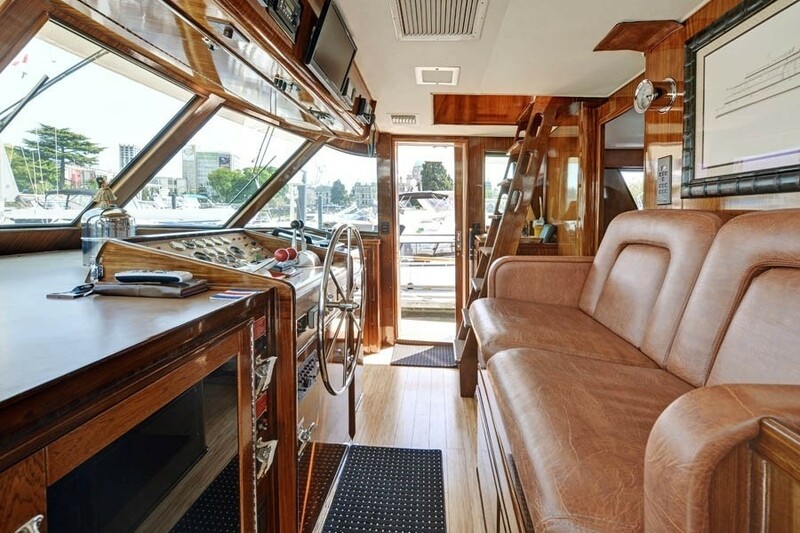 Motor Yacht NORTHERN LIGHT has a large salon and dining area in an open plan with 2 sofas aft, coffee table and TV, the formal dining space is forward on the port side and a wet bar is to starboard. 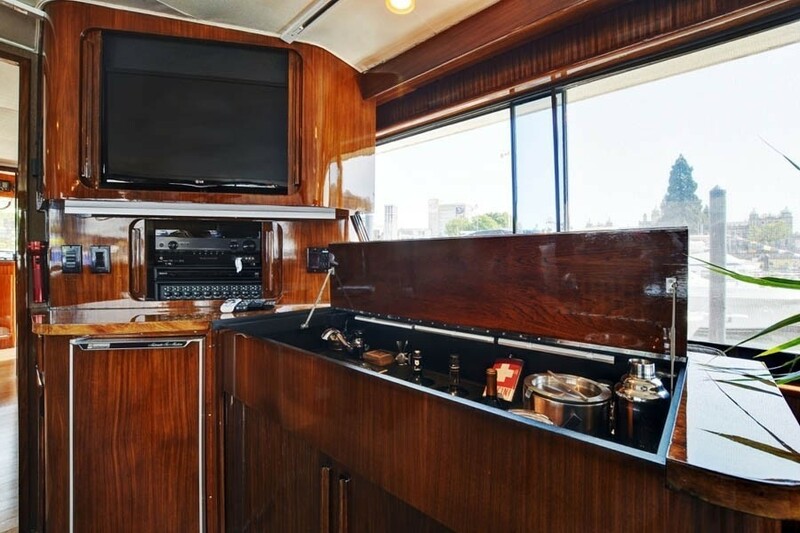 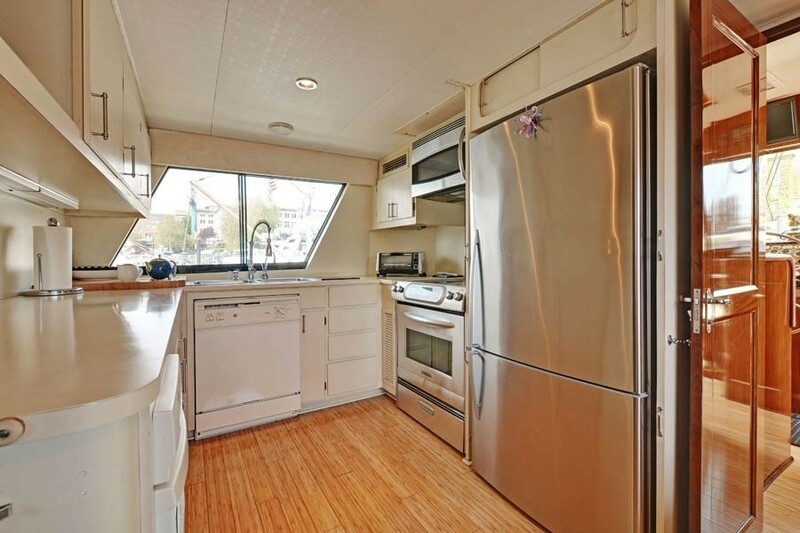 Separate and forward of the salon and dining is the galley with a country style eating area adjacent. 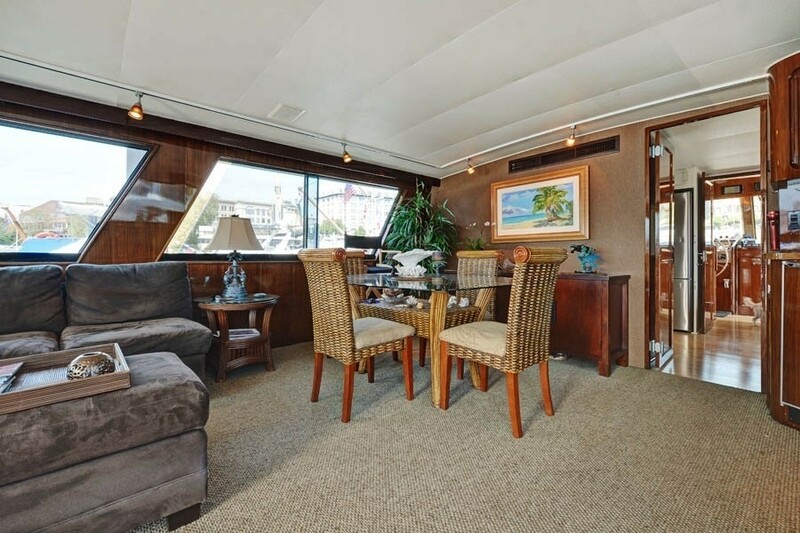 Further forward the wheel house is full beam of the yacht and offers additional guest seating, from here steps lead down to the lower deck and all 3 cabins. 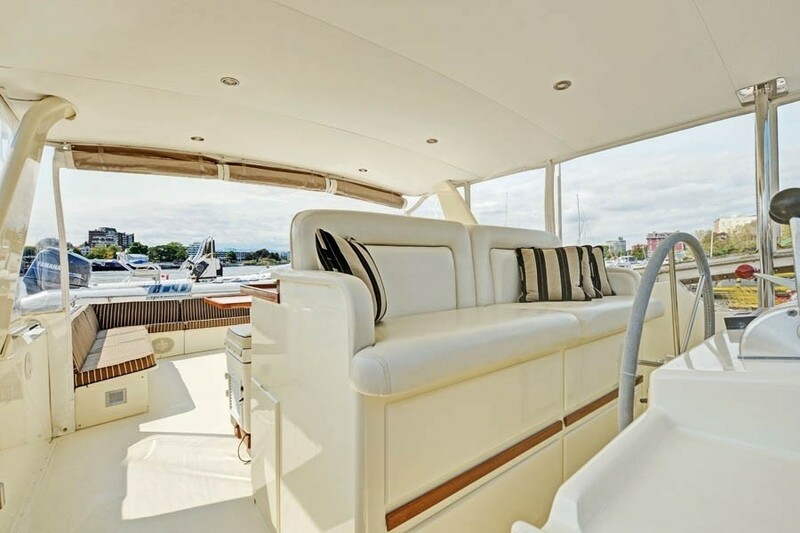 Charter yacht NORTHERN LIGHT boasts many outdoor areas to enjoy; the aft deck is covered and offers a large outdoor sofa which overlooks the extended aft deck below and Spa Pool hot tub. 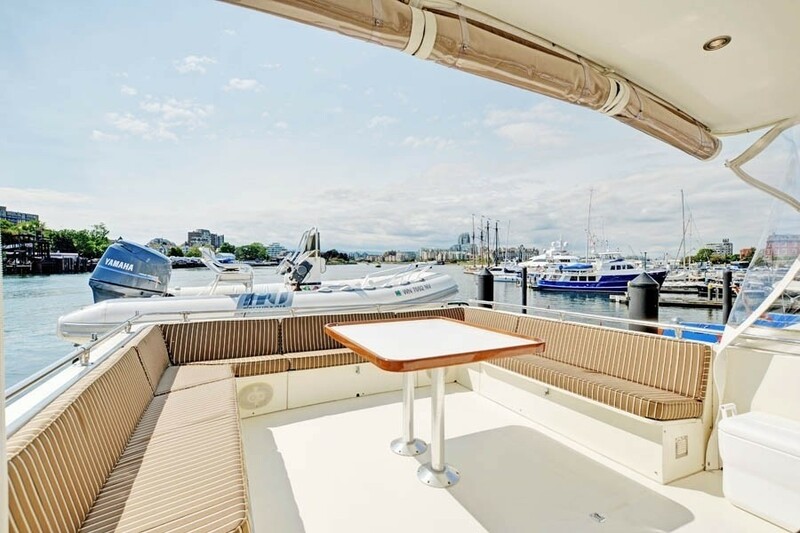 The foredeck is large and offers comfortable built in seating, a flybridge deck above the main deck offers an alfresco dining option and wet bar plus the best views available with optional clear panels for added weather protection. 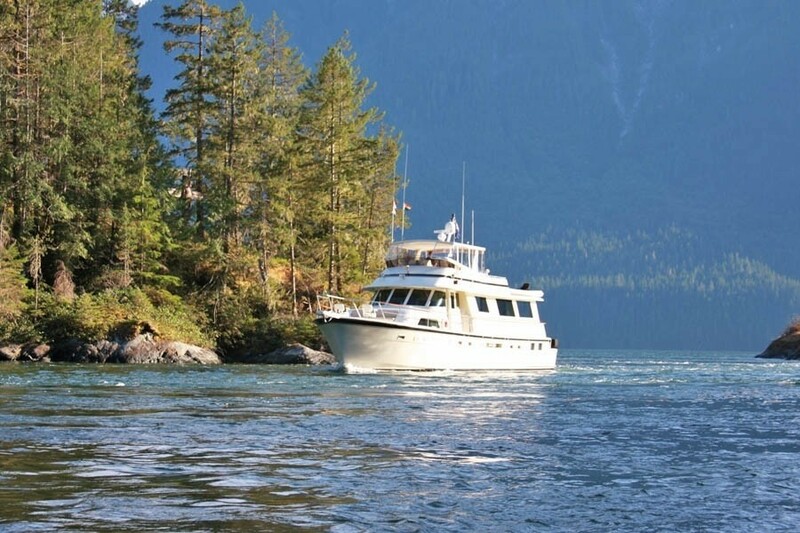 M/Y NORTHERN LIGHT has a beam of 5.7 meters (19ft) and a draft of 1.5 meters (5ft) the yacht cruises at 10 knots with top speeds of 23 knots, ensuring plenty of sightseeing. 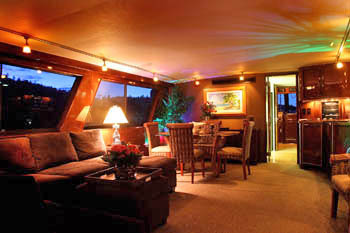 Luxury Motor yacht NORTHERN LIGHT can accommodate 6 guests in 3 well-appointed cabins, the master cabin is aft and full beam of the yacht with a center-line, walk-around King size bed, large changing area and office, TV and en-suite bathroom with tub, ample windows and ports allow natural light and fresh breezes into this deluxe cabin. 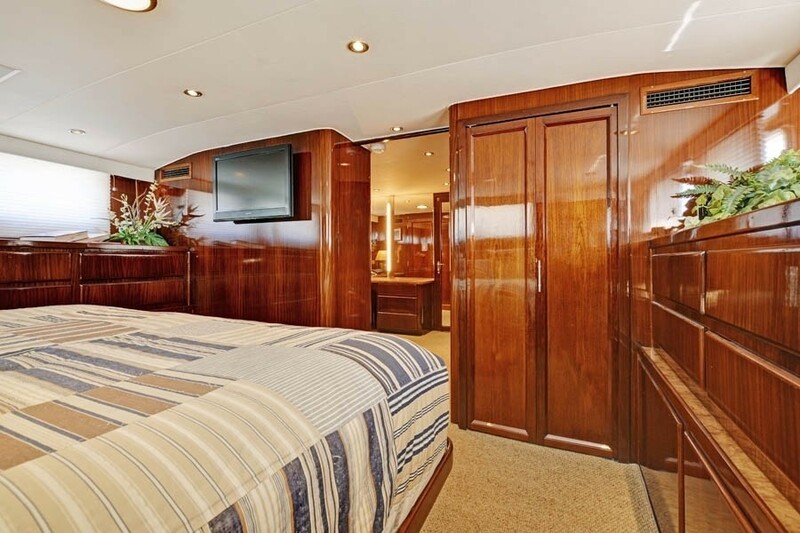 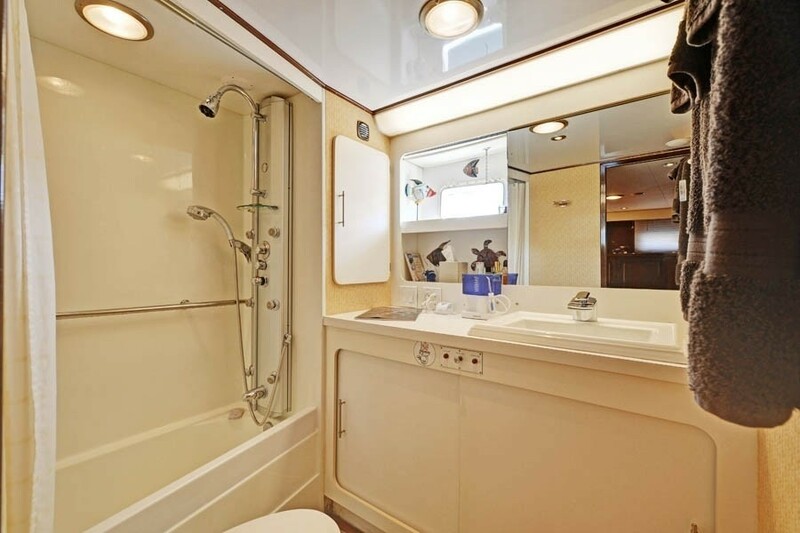 The VIP stateroom is forward and offers a queen size bed and TV, a further guest cabin offers 2 single beds and TV, the VIP and twin cabin have shared facilities with shower. 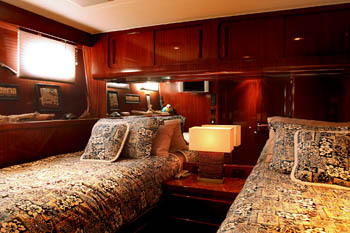 Two sit on top 1-person kayaks (on request), Soft tub Spa Pool in the cockpit, aft (on request),13' Capri sailboat (on request), Wet bar, fridge/freezer and ice maker, 15' Novurania tender with 80 H.P. 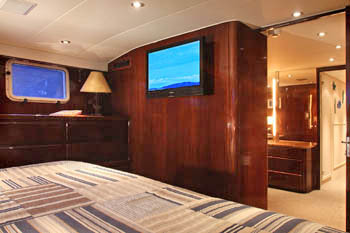 engine, NAIAD Sea Stabilizers, Full size washer and dryer, Scotsman commercial ice maker, KVH Satellite TV with 4 receivers: one for the main salon, and one for each guest stateroom, 72 mile Colour Furuno Radar, XM Satellite Radio, Stereo system throughout yacht, 2 GPS Receivers, Wireless internet access, Nobeltec Computer Navigational System, 2 VHF radiotelephones 2 Cell phones Wi-Fi antenna for BBX in most marinas.